Against all odds Roma pulled off the seemingly impossible task by knocking out FC Barcelona with a comprehensive 3-0 victory over the visitors at home. For the 3rd Season in succession, FC Barcelona, favourites to win the Champions League with Bet365, was knocked out of the Quarter-Final stage in UEFA Champions League. Now that's a seriously dangerous pattern which needs to be addressed soon. All of us believed that Barcelona had the tie rapped up after the 4-1 victory at the Camp Nou. 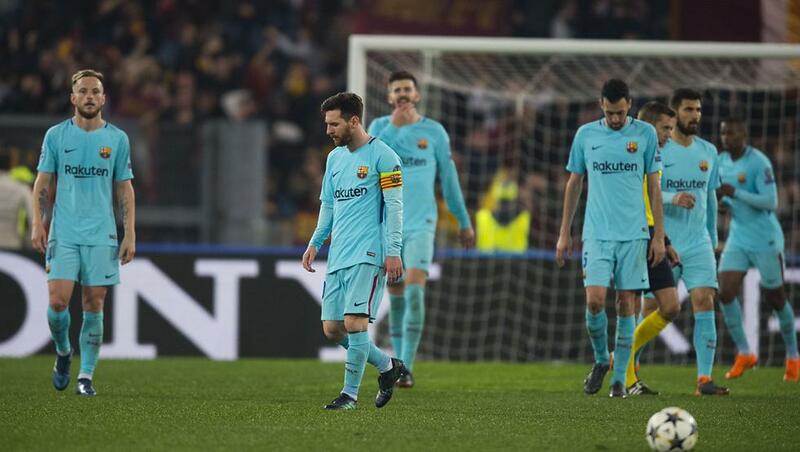 But a combination of complacency and tactical mistakes from the Manager resulted in Barca being at the receiving end of a wonderful come back once again at this stage of the tournament. Now they may have to once again watch from sidelines their biggest rivals (who despite the hiccup against Juventus) script another glorious chapter in European Football. Can Barcelona win La Liga without losing? Last summer, the omens did not look good for Barcelona fans. Having sacked manager Luis Enrique after a second-place finish in La Liga, the club had taken a risk in replacing him with the untried Ernesto Valverde. That appointment was followed by the loss of star striker Neymar to Paris Saint-Germain and the failure to bring Philippe Coutinho from Liverpool to Catalonia. It seemed as though another season of disappointment beckoned.